Return flights to Bangkok and home from Phuket plus internal flights in Thailand. All transfers, driver and guiding requirements. 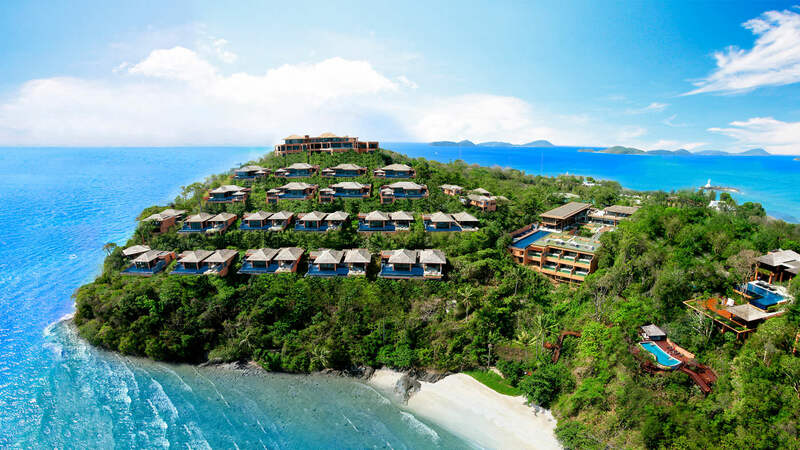 14 nights’ accommodation including Bangkok and Phuket in some of our favourite partner hotels including Sri Panwa, Phuket, overlooking Cape Panwa. Allow us to arrange a visit to an ethical elephant camp, a boat trip to Phi Phi islands, and superb diving and snorkelling during your stay. 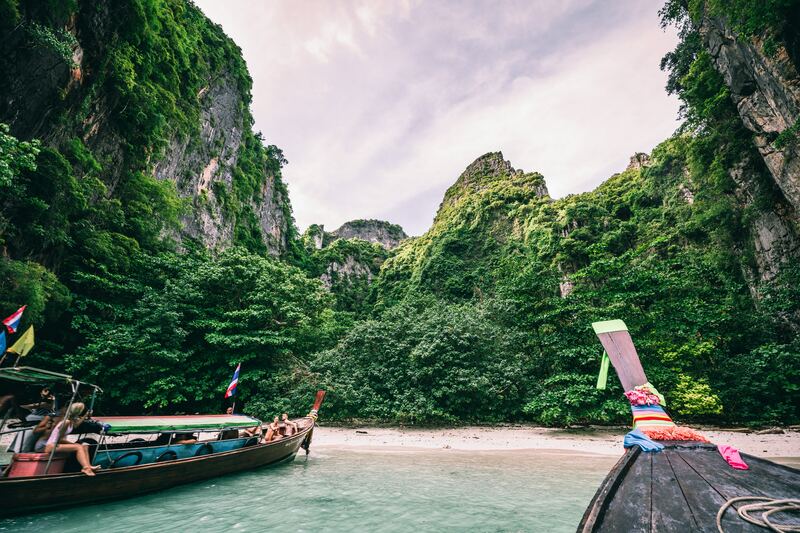 From magnificent temples and ancient ruins to bustling cities and beautiful palm-studded beaches, Thailand has so much to offer. The country encapsulates excitement and relaxation unlike anywhere else. Experience the perfect fusion of bustle in the city with the tranquillity of a Thai beach resort, the ideal recipe for an unforgettable trip. 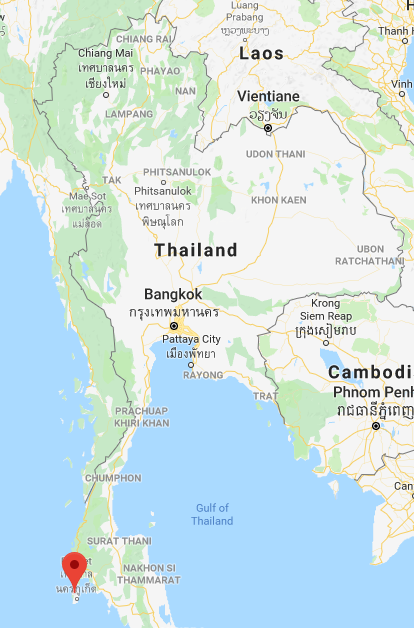 Explore the below suggested itinerary to Bangkok and Phuket in Thailand. All our itineraries are created as inspiration. From from Dublin to Dubai and on to Bangkok. 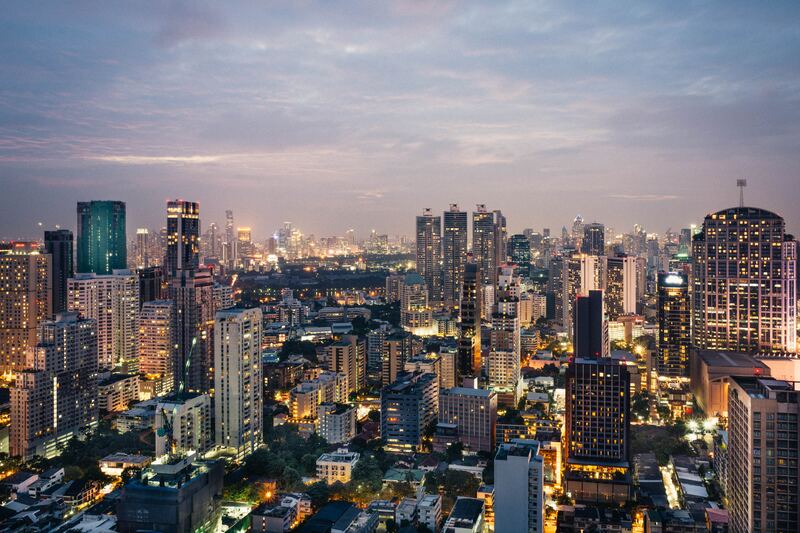 Bangkok is the gateway to your Thai adventure. Upon arrival, you’ll check in to your luxurious suite at the Banyan Tree Bangkok for a 3-night stay. 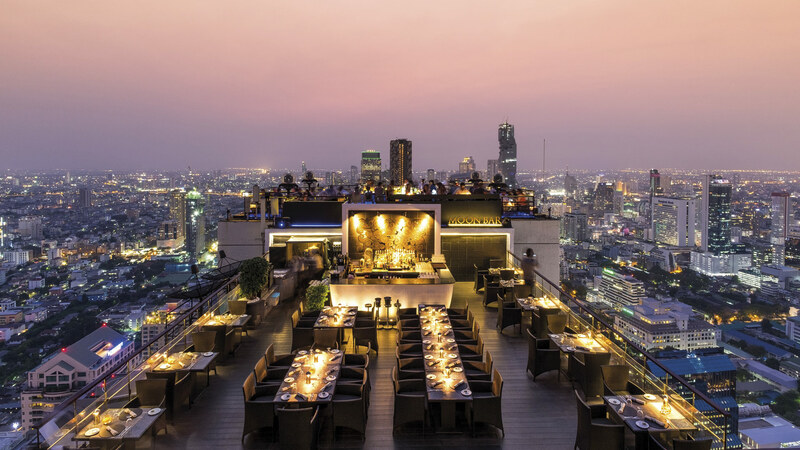 This central, contemporary hotel offers a warm Thai welcome and is the perfect springboard from which to explore the bustling city, stunning temples and endless shopping streets of Bangkok. Allow is to arrange a guided tour of Bangkok by night. Seeing the sites at night brings out the true excitement, beauty and mystery of the city. There are many vibrant night markets with local food stalls, second-hand items on sale in small shops and a flower market that’s open 24 hours a day. Enjoy the buzz of a city that never sleeps as you explore its winding streets. 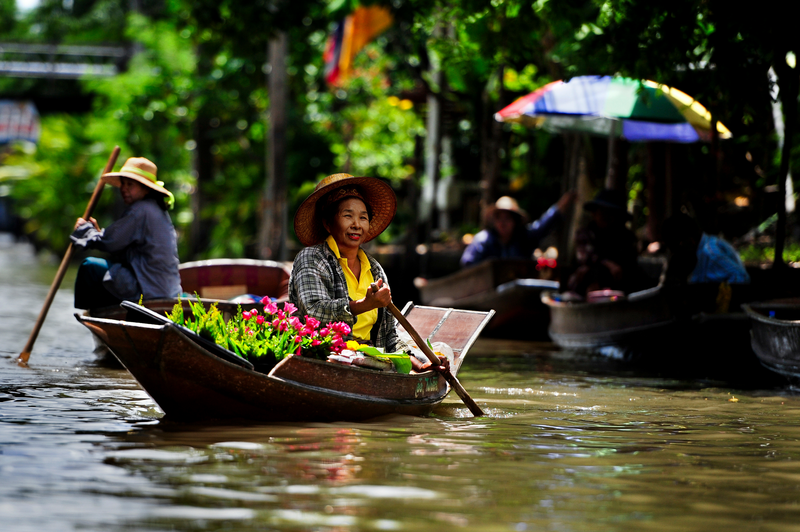 Allow us to take you to Don Wai Floating Market. Explore a guided tour on the river and enjoy the unique, antique Thai-style houses which have been preserved since the era of King Rama VI. Don Wai is host to a great array of local foods and features both old Thai-style food and a collection of Thai-style sweets. Enjoy a dinner of local cuisine near the Siam Niramit theatre. After dinner, you’ll walk around the area which has been decorated in traditional Thai style. Experience one of the world’s largest stage shows ‘Siam Niramit’. 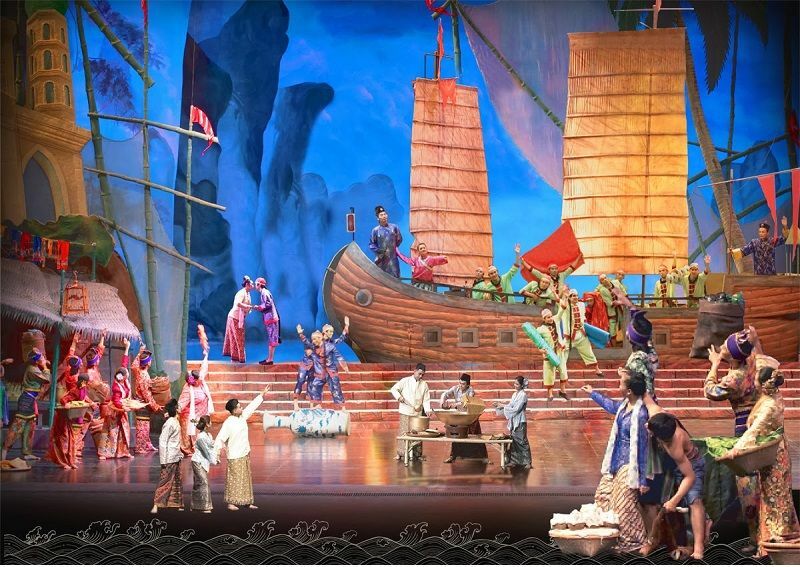 The performance showcases the history, customs and colour of the ancient Thai Kingdom. Bangkok is home to an array of picturesque temples. 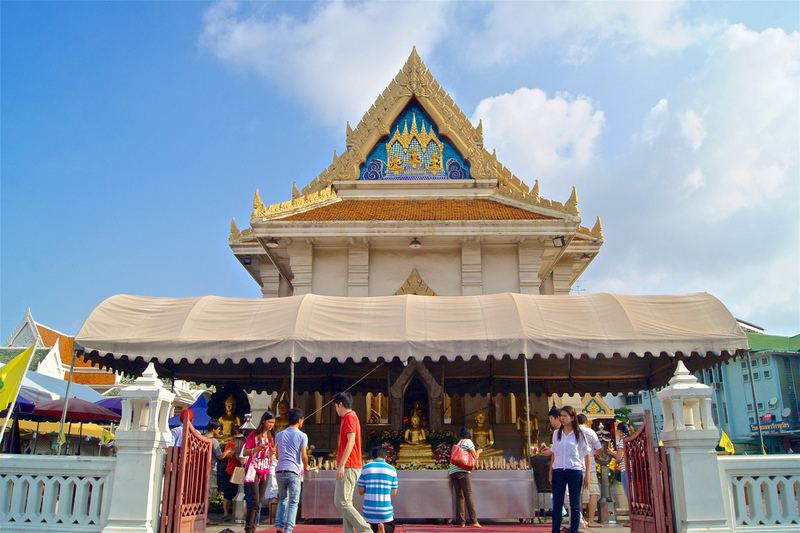 You’ll visit Wat Traimit, where you’ll see its 3-metre tall Golden Buddha. Once hidden from thieves under a coat of plaster, it’s now resplendent as a figure of solid gold. Explore Wat Pho, one of Bangkok’s oldest temples, and home of the largest reclining Buddha in Thailand. Fly from Bangkok to Phuket. Phuket is where we will take you for some much-deserved rest and relaxation. There are many beautiful beach properties to choose from in Phuket. One of our favourites is Sri Panwa, a luxury hotel private pool villa & spa resort. Allow us to arrange a visit to an ethical elephant camp. We can also arrange a boat trip to the beautiful Phi Phi Islands. Relax, snorkel, reconnect and enjoy every minute of this paradise. Depart from Phuket to Bangkok. Fly from Bangkok to Dubai.